Banks will resort to this where the risk exposure is considered higher for instance where the applicant barely meets the minimum requirements. The main objective of the bank is to mitigate its risk exposure. A common practice amongst banks is to require loan applicants to include a guarantor or a cosignatory in the loan agreement. This is normally relegated to the closure parts of a loan deal, after the applicant has been qualified. Banks will resort to this where the risk exposure is considered higher for instance where the applicant barely meets the minimum requirements. The main objective of the bank is to mitigate its risk exposure. A loan guarantor is a person nominated by the borrower and voluntarily accepts to take liability for the loan. Many people undertake this enormous responsibility on sentimental reasons or emotional obligation which need not be the case. 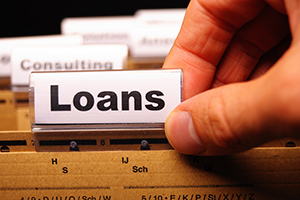 Here’s are 3 harsh realities about guaranteeing a bank loan. Once you accept to be a guarantor of a successful loan application, you bear the same liability for the loan as the borrower. Any eventualities in the loan are taken up with the same impact as the borrower. In the unfortunate event that the borrower defaults, the guarantor is obligated to make full payments (as agreed in the terms of borrowing) for the loan. All loans guaranteed, the amounts and tenure, are reported to the credit reference bureaus. This information is used to calculate the guarantors overall credit score where it translates that more loans or higher the value loans guaranteed impress negatively on your credit rating. By accepting to guarantee loans, you automatically reduce the value and likelihood of getting loans you may otherwise be eligible for. Guaranteeing many loans negatively impacts on your profile as a borrower due to a higher risk factor attached on your application. These harsh realities accompany any loan guarantees you pen, however they do not prohibit you from guaranteeing a loan. Under what circumstances should you accept to be a loan guarantor? You ought to be absolutely sure of the character, ability to repay and collateral offered by the borrower. In summary banks also rely on guarantors to perform an extra check on the credit worthiness and ensure accountability of the borrower.